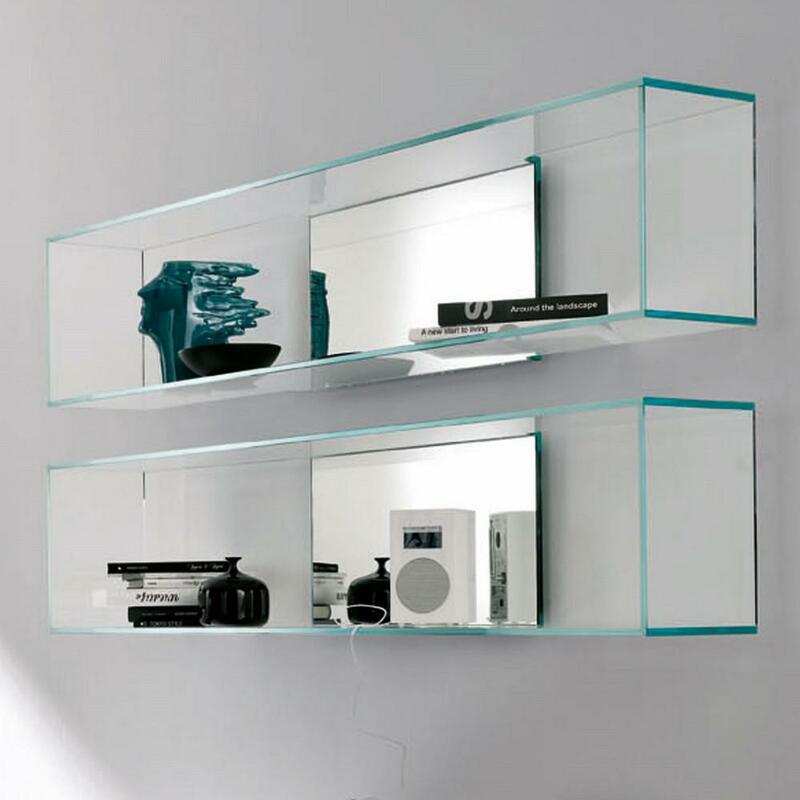 The Brama 1 glass wall shelf by Italian glass furniture specialists Tonelli Design, is an individual and beautifully made glass shelf designed by Matteo Ragni. 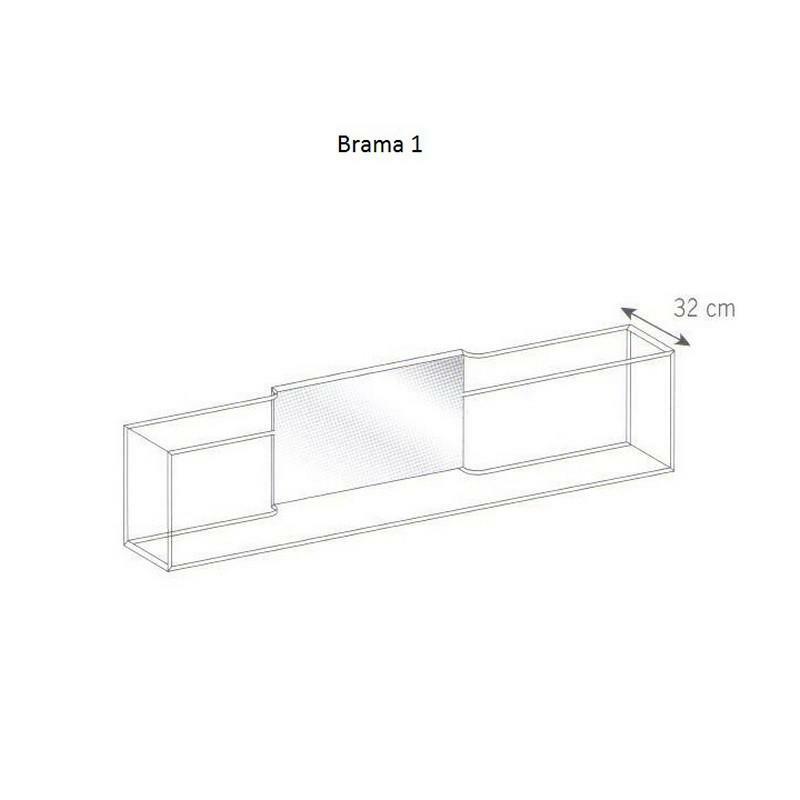 Quite large at 1.6 metres long, the Brama 1 wall shelf is made with 12mm thick sheets of glass, seamlessly bonded together using Tonelli's special process, with a central mirrored panel. 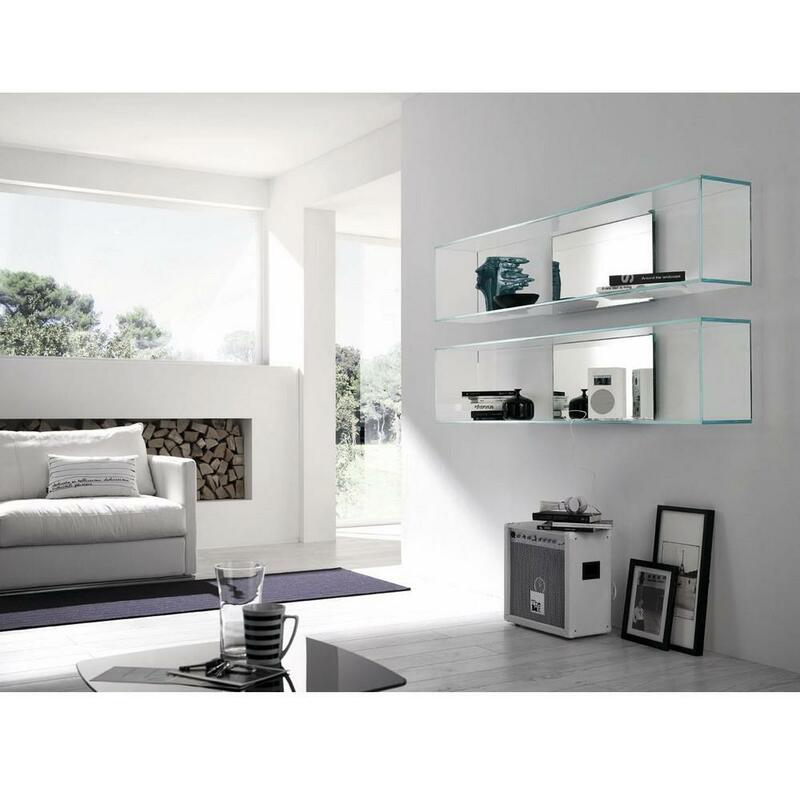 There are two options for the glass, you can have transparent glass, or extra clear glass, which is glass that has been specially treated to remove all of the green tinge you get in standard glass. 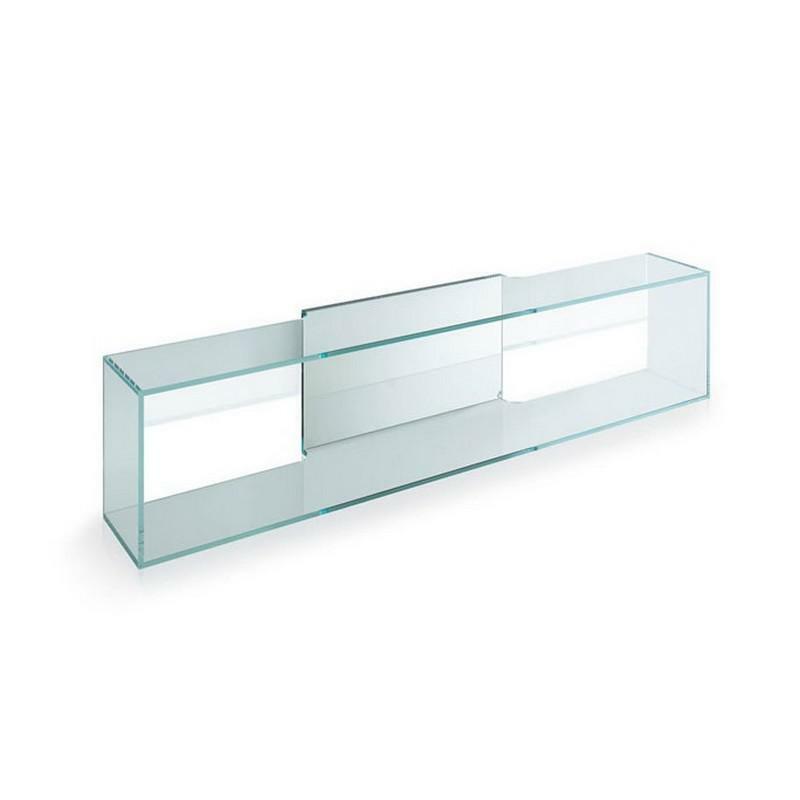 Both are toughened safety glass. Dimensions: 160 x 32 x h. 35 cm.